Seal Harbor Resort - 40 yards to beach! One bedroom condo, great location. Approximately two-minute walk to sandy beach. Fully applianced kitchen including dishwasher and microwave. Mr. Coffee and Keurig machines both available. Cable TV, DVD, and free wireless internet connection. Hair dryer, ironing board and iron, and beach chairs provided for guests' use. With queen size bed plus sofa in living room, maximum occupancy is 3 people. During the summer months (late June to the end of August), reservations must be for a full week and will begin and end on Saturdays. At all other times, reservations must be for a minimum of three nights and can begin on any day of the week, depending upon availability. I am a property manager with rental units in Western Massachusetts and southern Maine. This is a beautifully maintained property just steps away from the ocean. Wells is a great town for visitors, with lots to do nearby. 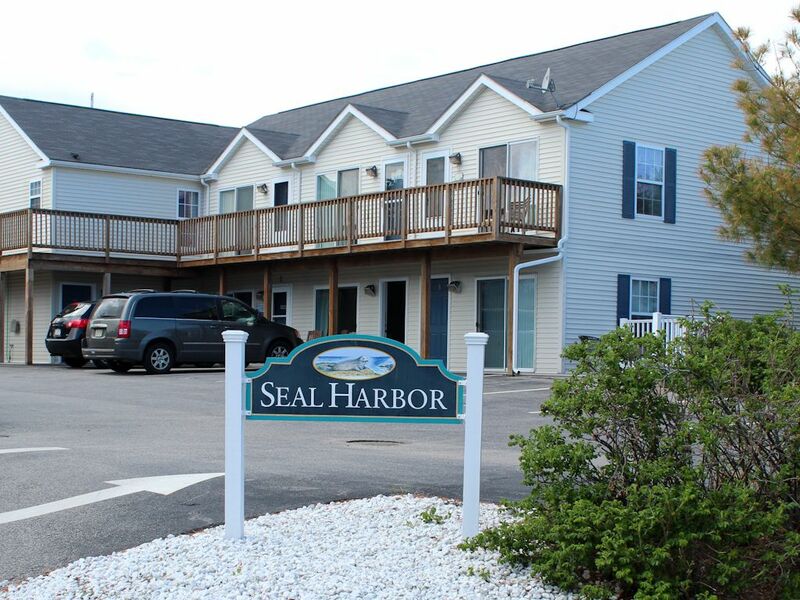 All the amenities of home in a compact, cozy rental unit close to the beach, shopping, beautiful scenery, and extensive recreational activities up and down the southern Maine coast. Food storage dishes, foil and plastic bags available. Cleaning supplies on hand for spills. Hand soap and dish soap provided. Great getaway nice cozy place to stay beautiful beach to walk on. Hope to get back to this place one day. Great location. Wells beach is just a short walk across Atlantic Ave.
We really enjoyed our stay at Seal Harbor. The unit was clean & cozy and included all the amenities for an enjoyable stay. Fine dining and shopping were a short drive from where we stayed. We were also close to sections of the Eastern Trail & on one of our vacation days, we drove to Saco, ME & rented bikes. From there, we biked a round trip of 16 miles on the ET from Saco to Scarborough Marsh. The biggest attraction for us was the beach which we went to every day. We have been vacationing in Maine for many years, but this was our 1st visit to Wells. It won't be our last. Only a two minute walk to the beach and a ten minute walk to the main Well’s Beach parking area. Very quiet location. Nice swimming pool. Comfortable bed. Kitchen is small, but has everything you need. Condo is clean and comfortable. We will definitely consider staying there again. Excellent vacation destination. Beautiful beach just steps from your door! Located in southern Maine between Ogunquit and Kennebunk, and just 90 minutes from Boston. Outstanding local restaurants, stores and antique shops. Activities include seven miles of beautiful beaches,Rachel Carson Wildlife Refuge, walking/hiking, canoeing, kayaking, biking, deep sea fishing and golfing nearby. Harbor cruises and amusement parks within a short drive. Sightseeing on local trolleys. Weekly rentals are from Saturday to Saturday; winter rental periods are negotiable Check in: 3:00pm Check out: 10:00am Cleaning fees are included. This is a NO SMOKING community.